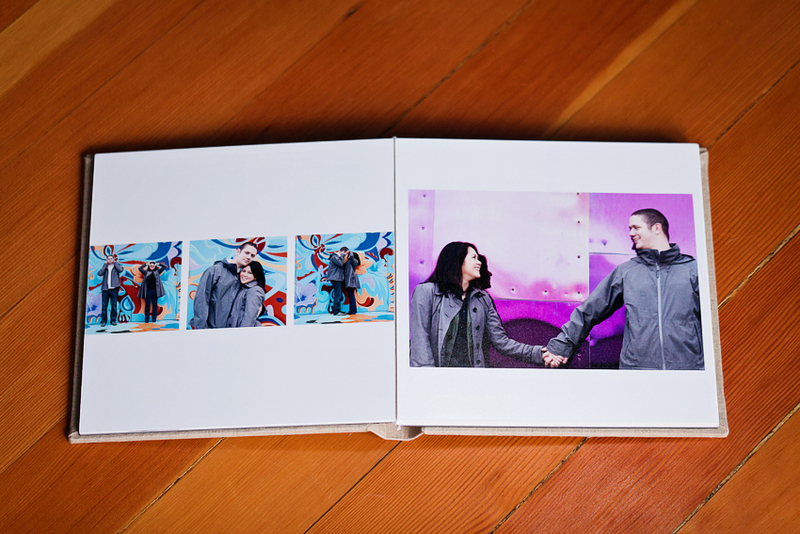 We made this beautiful Heirloom Album of images from Karen and Chris’s Seattle Center engagement session so that they could share the book with guests at their wedding last October. Since we’ll be posting their wedding photographs this week, we thought this would be a perfect prelude. And it’s the best way (besides in-person) to show off our beautiful Heirloom Albums by Cypress Fine Handmade Albums & Boxes. We’re currently offering the “Whistler Book” as our Heirloom Album for weddings and engagements and the “Cypress Album” as our Deluxe Heirloom Album for weddings. We’re also proud to say that all Cypress albums are cruelty-free (no leather here!) and eco-friendly (cotton and wind-power-generated papers), handmade with archival, museum-quality materials for a beautiful book that will last for generations. 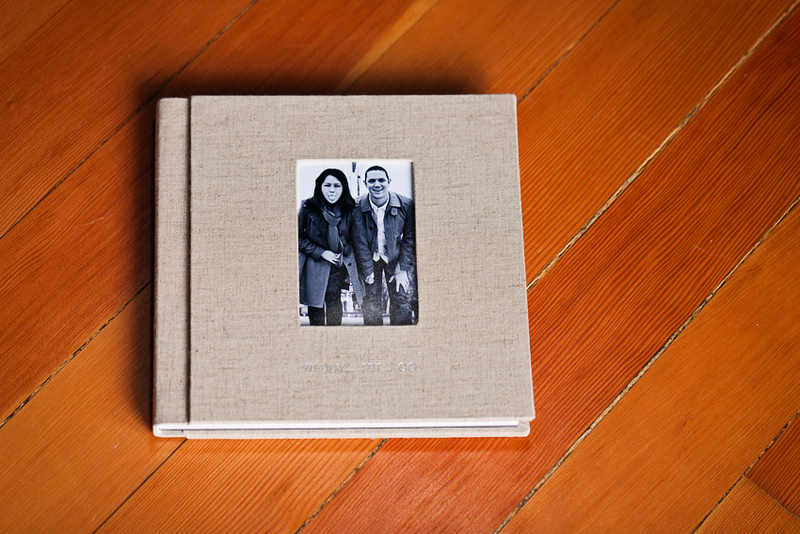 Karen and Chris’s Heirloom Album of engagement photographs is sized 8×8″ and made with lay-flat photographic pages, an exclusive vintage linen fabric, custom inset cover-image, and personalized embossing. “Weddy… Set… Go!” was their wedding slogan. How cute is that? Here are a few of our favorites from the spreads we designed for their book. Enjoy! Seattle Wedding and Portrait Photographers Kat + Justin Speyer | © 2014 Persimmon Images|ProPhoto Photography Blogsite by NetRivet, Inc.